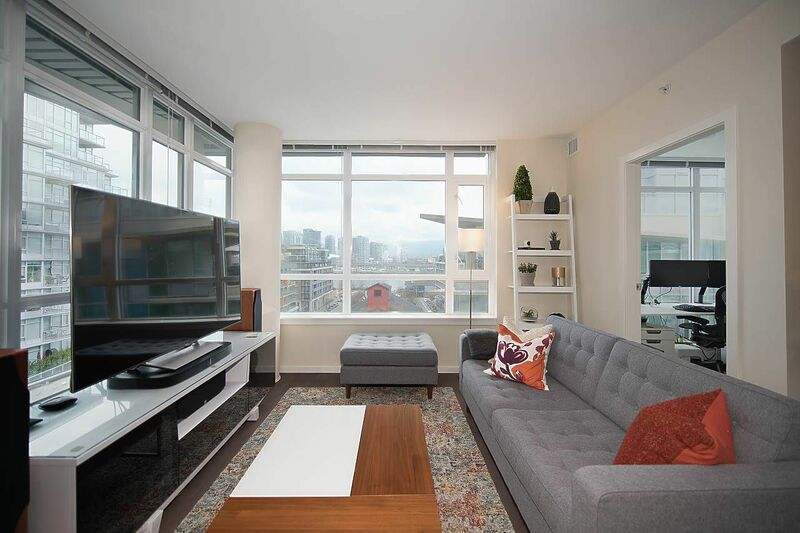 Pinnacle Living False Creek, Live in the 'Village', 2 Blocks to seawall, beautiful view of False Creek & Mountains! Building only 5 years old! 1 parking, 2 large storage lockers!!! 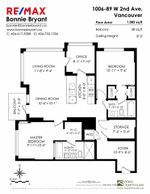 Lovely spacious 2 BR/2 BA + Den, well laid out floor plan with solarium/den, insuite laundry and insuite storage. Kitchen has S/S Bosch and Fisher Paykel appliances. Upgraded DR chandelier, Ecobee Smart Thermostate & Smart Dimmer/light switches, will work with Google Home or Amazon Alexa. Bldg has Exercise Room & Social Room. Rentals allowed and Pets allowed are 1 cat or 1 dog. Great to occupy or own as rental investment! Wonderful space for professionals, young family, empty nesters/downsizers or tenants. Walk score of 97%, transit 99% and bike 100%. Please NOTE Open House times are different on both Sat & Sun. Open House Sat, March 24 1-3 pm and Sun March 25 2-4 pm.